To stream straight to Facebook or YouTube, you will need to have your device connected to a WiFi network (or a mobile data hotspot). To use a remote camera, you will also need to have both devices connected to the same WiFi connection (or mobile data hotspot). This guide will show you how to make sure you are connected to WiFi in order to use Switcher Go. Tap on the grey “Settings” app from the main home screen of your device. Tap on your desired WiFi connection. Insert the WiFi password if needed. Verify that there is now a checkmark next to your WiFi name. This means you are connected. Exit your “Settings” app by pushing down on your device’s main “home” button. 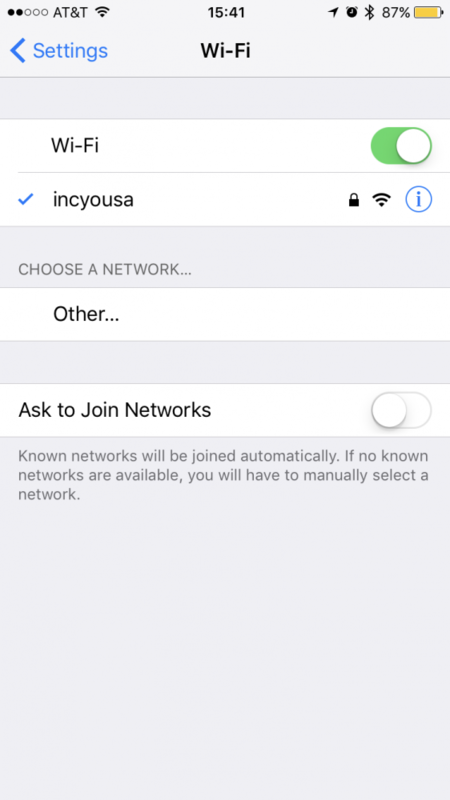 If a WiFi connection is not available, you can also enable your iOS device’s built-in hotspot via the same WiFi settings menu. This hotspot must be first made active through your mobile provider.